Good Low light recording ability provides quality images in just about any lighting conditions. 170° wide-angle lens provides an excellent field of view making it ideal for open water and panoramic use. Integrated LCD screen on the back of the unit offers live viewing, video playback, photo display and easy access to on-screen menu items. Adjustable settings for resolution, active motion detection, white balance, exposure, ISO, and much more. 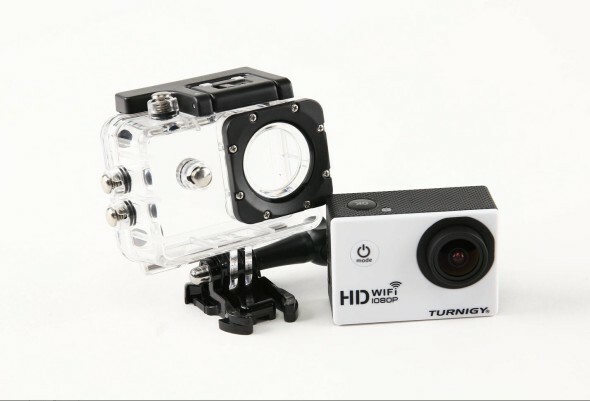 WiFi version with WiFi connectivity which allows for real time video/image streaming to your Android or IOS device, wireless operation of the camera menu functions and more! Previous Video: Avios Hawker Sea Fury FB11 In Action! Next #WhyIFly – Tell Hobbico Why You Fly and You Could Win Cool New Futaba Radio Gear!